Here we go Outdoors 2019! Saturday is upon us already and it marks the biggest day of the young season so far with week 1 in full swing. Keep it on NJ MileSplit for full results, highlights, media coverage, and more. If you capture a highlight performance make sure to tag us on social and or send the video or photo in to rkellert@milesplit.com and it may make it on the site. That's a great place to reach us if you have a neat story for an article or record breaking news as well. Meet Directors, I'm looking for help to record and cover all these races and meets around the state. If you think you have someone that can do a good job recording races at your meet for uploading to the site send a note over to rkellert@milesplit.com and we'll see about working together. Would be paid for their time. I'm one person so the more help we get the more meets we can cover every single weekend and spread the love. These won't be full recaps, just quick notes and observations. If full recaps are written for a meet it will be linked here. Really solid early season marks from Claudine Smith of Atlantic City. 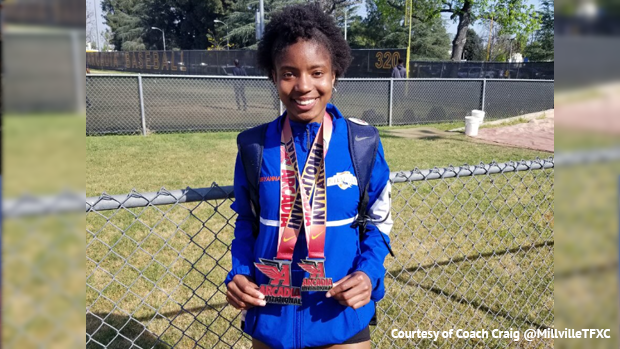 The indoor Meet of Champions 55m hurdles winner posted a 14.83 in the 100m hurdles and a 38-0.5 in the triple jump she also won the long jump at 17-01. Ryan Lindrud of Ridge led the boys 800m with a 1:56.17, his teammates made it a 1-2-3 finish. Sophomore Katherine Loew of Hunterdon Central won the girls 800m at 2:31.63. The 4x800m wins went to the St. Dominic Academy girls at 10:10.30 and Ridge boys with an 8:21.87. Connor Mathis of Don Bosco opened with am NJ#1 59-06 in the shot and followed that up with a 160-05 in the discus, only behind Matt Lange's 167-0 bring in a win for NV Demarest. The girls Discus saw Tenafly's Angelina Tapia of Tenafly hit 122-03 and the shot was led by Jada Sewell's 37-06.5 for NV Demarest, both these girls juniors. 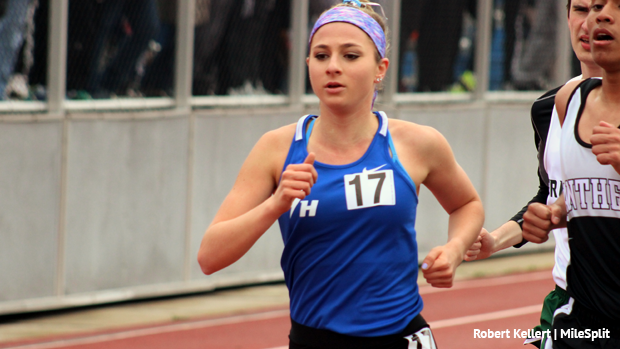 RECAP Muccio, O'Shea, Craig, Ridgewood and Union Catholic shine in California. 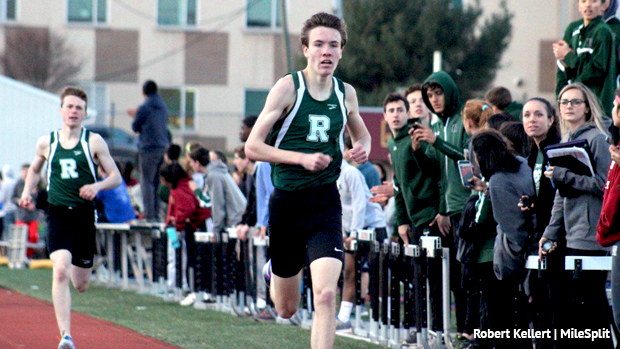 300m hurdles showdown and impressive NJ performances abound at the Arcadia Invite. The CBA throwing crew put on quite a show in South Carolina. Eros Bottino broke the CBA Junior Class record when he placed second in the discus with a throw of 162-4 ¾, which is NJ#3 and Penn Relays qualifying mark. Bottino is now No. 6 all-time in school history. The CBA school record in the discus is 183-10, set in 2015 by current Michigan star Andrew Liskowitz. The Colts took 1-2 in the javelin with Chris Arias first at 150-8 ¼ and Andre Terrone second with a 150-7 ½. In the shot put, Nick Morse was second for CBA with a a NJ#2 55-5, his third best throw ever, and Bottino was fifth with a 48-2 ¾. 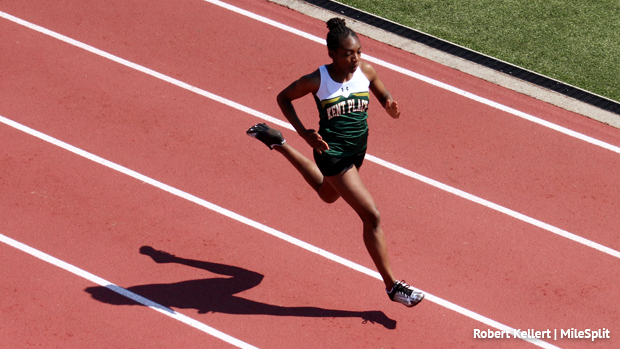 Eastern ran some of the fastest times in state history and won six events on the track. Arianna Smith of Pennsville posted a 1:02.97 in the 400m hurdles. Winslow had multiple victories with one of the best coming in the shuttle at 1:05.40. Manchester Township swept the Division 1 championships, and James Bell of West Side had a huge day at West Orange High School. Manchester won the girls title 130-108 over runner-up Science Park, and outscored Parsippany, 114-76 for the boys championship. In Division 2, East Orange defeated runner-up North Bergen, 93-79, for the boys title, and West Orange outpointed Montclair, 93-80, for the girls team title. Bell, a senior, struck gold three times. He grabbed the state lead in the boys high jump by clearing 6-7, just off his PR of 6-8 that he cleared this past indoor season, soared a meet best 21-9 in the long jump, and ran on the winning 1000m SMR. The East Orange boys ran a NJ#1 42.87 in the 4x100. Lawrenceville won the girls title, and St. Benedict's Prep was the boys team champion at the State Prep Relays in Lawrenceville. One of the biggest highlights came in the boys shuttle hurdles when Urijah Williams, Tyler Antoine, Adrian-Paul Morgan, and Jahari Mitchell combined to finish first for St. Benedict's in a NJ#1 1:01.54. Passaic County Tech swept the team titles and Liam Landau of Pascack Hills cleared a NJ#1 15-0 in the pole vault. Landau won the indoor Meet of Champions pole vault title and owns a PR of 15-9. Rancocas Valley swept the Division 2 team titles, and the Point Pleasant Boro girls and Glen Rock boys won the Division 1 championships at Howell High School. In the boys competition, Glen Rock edged Matawan, 97-96, for the Division 1 title, and Rancocas Valley outscored runner-up 86-67 1/2 over runner-up Westfield. On the girls side, Point Pleasant Boro edged Glen Rock, 102-94, for the Division 1 title, and Rancocas Valley defeated Hunterdon Central, 94-56, in the Division 2 competition. There were four NJ#1 performances in the meet - the Freehold Township boys 4x400 (3:25.28), Jennifer Pasram of Old Bridge (11-0 in the pole vault), Bryanna Wilson of Howell in the shot put (41-4), and the Point Pleasant Boro boys in the 4x1,600 (18:40.19). The Elizabeth boys and Matawan girls captured the team championships, and the Holmdel girls and Abby Nonnenberg of Wall recorded NJ#1 performances at Raritan High School. Elizabeth racked up 108 points to runaway with the boys title by 48 points over runner-up Holmdel, and the Matawan girls outscored runner-up Rumson, 65-0 3/4-57. The Elizabeth boys won the 4x800 (3:8:25.74), the 1,000m SMR (3:27.61), the 4x400 (3:27.61, and had the top throws in the shot put-Mujeeb Ali (52-7) and Tajhir Tate (51-5). On the girls side, Nonnenberg, a junior, won the discus with a NJ#1 130-7, a PR by nearly four feet, and Holmdel ran a NJ#1 2:20.27 in the 1000m SMR. Memorial WNY boys threw down a 10:35 DMR time. Belleville boys led the SMR with a 3:41.40h and Lyndhurst won the SMR with a 4:24.70. What a day at Summit from Meghan O'Malley! The Randolph senior led the long jump and high jump with 16-11 and 5-4, split a 14.3 in the winning shuttle, and anchored 59.4 to bring home a 4:08 4x4 win. Jade Pope split 57.6 on the anchor to bring Pennsauken across first in the girls 800 SMR in a NJ#1 1:50.30, and Thomas Hampton of Clayton won the 100m in a NJ#1 10.97, and ran on the winning 4x100 (43.12). Alexa Westly dropped a PR 17:01.82 in the 5K, fastest than her All-American run last spring at NBNO. More to come.